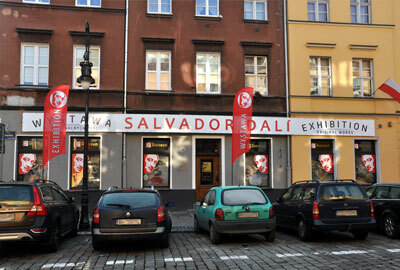 Following the success of this exhibition in Latvia and Lithuania first time in Poland, original works by Rene Magritte, are now in Dalineum - Centrum Salvadora Dali, Poznań and this exhibitions is realized in partnership Art Expo S.I.A. Sp. z.o.o. with Collection Kesauri. Exhibition is open from 01/04/2018 to 03/09/2018 and is featuring 75 original works of greatest master of our time. The exhibition is composed by exhibits from Collection Kesauri - litographies of Magritte of his illustrations for "Les Chants de Maldoror". The exhibition highlights the major key aspects of work of the greatest artist of our time - René Magritte. Les Chants de Maldoror (The Songs of Maldoror) is a poetic novel (or a long prose poem) consisting of six cantos. It was written between 1868 and 1869 by the Comte de Lautréamont, the pseudonym of the Uruguayan-born French writer Isidore Ducasse (1846-70). Many of the surrealists during the early 20th century cited the novel as a major inspiration to their own works. Including René Magritte, who produced an entire series of illustrations for Les Chants de Maldoror actually presented on this exhibition. These litographies were published in Belgium in 1948 at the publishing house La Boétie. Rene Magritte was one of the most well known and famous surrealist painters of all time, yet it was not until his 50s, when he was finally able to reach some form of fame and recognition for his work. He was extremely influential in the transformation of surrealism art, to the pop art movement, with the work he created, and the distinct style which he took with the creations that he made during the course of his career. Much of the work created by Rene Magritte, takes everyday, normal objects, and he would simply rearrange the figures, and locations, forcing the viewer to take a deeper look at what was in front of them, and at what the image truly represented. Les Chants de Maldoror is considered to have been a major influence upon French Symbolism, Dada, and Surrealism. Magritte's work frequently displays a collection of ordinary objects in an unusual context, giving new meanings to familiar things. The use of objects as other than what they seem is typified in his painting. Magritte's style of surrealism is more representational than the "automatic" style of artists such as Joan Miró. Magritte's use of ordinary objects in unfamiliar spaces is joined to his desire to create poetic imagery. He described the act of painting as "the art of putting colors side by side in such a way that their real aspect is effaced, so that familiar objects—the sky, people, trees, mountains, furniture, the stars, solid structures, graffiti—become united in a single poetically disciplined image. The poetry of this image dispenses with any symbolic significance, old or new." René Magritte described his paintings as "visible images which conceal nothing; they evoke mystery and, indeed, when one sees one of my pictures, one asks oneself this simple question, 'What does that mean?'. It does not mean anything, because mystery means nothing either, it is unknowable.